Sapphire is the gemstone of the mineral corundum. When red or pink, these are rubies, and when other colors (palest or dark blue, green, yellow, gray), they’re sapphires. One of the 3 hardest known gems, they rate a 9 on the Mohs scale. They’re mined in Burma, Thailand, Tanzania, Madagascar, Vietnam, Nepal, and some US states. Asterism is the name of the special quality that gives star sapphires their stars. These contain contain intersecting needle-like inclusions (often of rutile, or titanium dioxide) that cause the appearance of a six-rayed “star”-shaped pattern when viewed with a single overhead light source. Yellow sapphires derive their color from trace amounts of iron. Metaphysical: Sapphire is said to bring hope, faith, and sincerity. 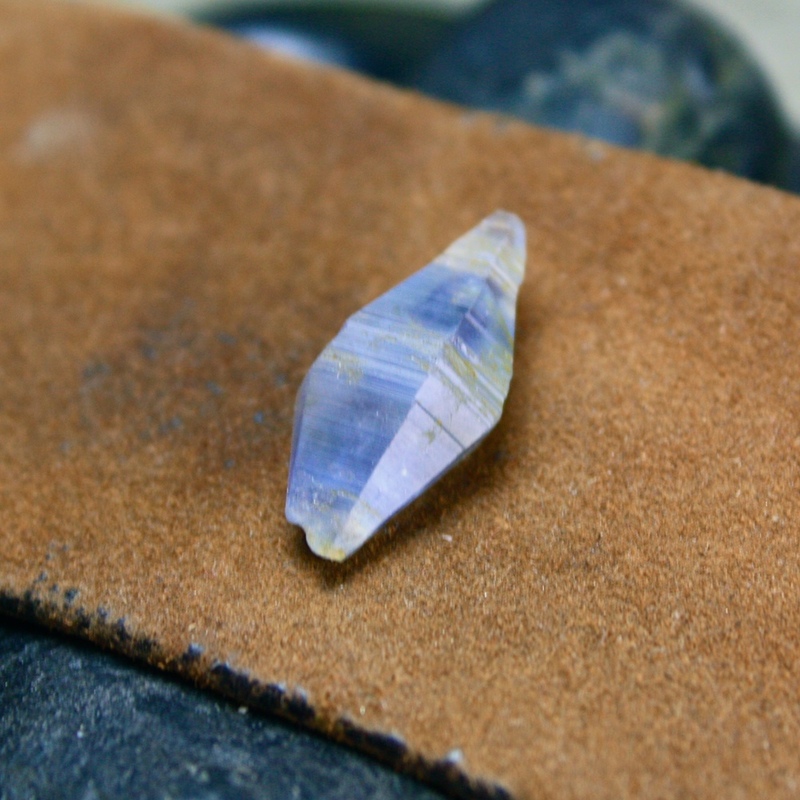 Some followers of Eastern religions associate the gemstone with Jupiter, and note that it is beneficial to the natives of the Sagittarius and Pisces signs of the zodiac.